Mid season. 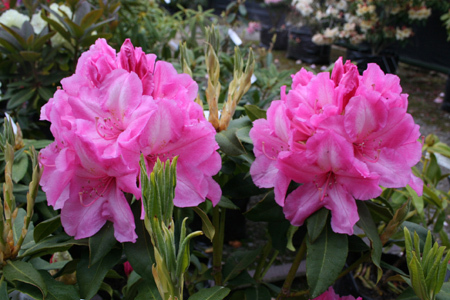 1.5m (griffithianum x unknown) This variety tolerates both colder and warmer climates. A reliable, sun tolerant, strong growing pink. 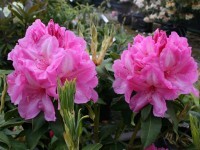 The large conical-shaped trusses are a deeper pink on the edge of the flowers, shading through to a lighter centre. Good foliage.